Tag Archives: Hollywood Brings Back Holiday Lights to Tinseltown! 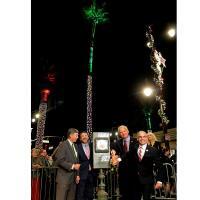 Hollywood Brings Back Holiday Lights to Tinseltown! Hollywood, Calif. – After an absence of four years, holiday lights return to Hollywood Boulevard for the 2017 holiday season. The famous Boulevard will shine brighter as a result of a joint effort between the Hollywood Chamber of Commerce and the Hollywood Entertainment District (HED). A lighting ceremony was held to show off the new decorations on Monday, November 20th at 6 p.m. at the corner of Hollywood Boulevard and Highland Avenue, adjacent to the Metro Station. The event was emceed by Leron Gubler, President/CEO of the Hollywood Chamber. Councilmember Mitch O’Farrell, 13th District participated in the event. 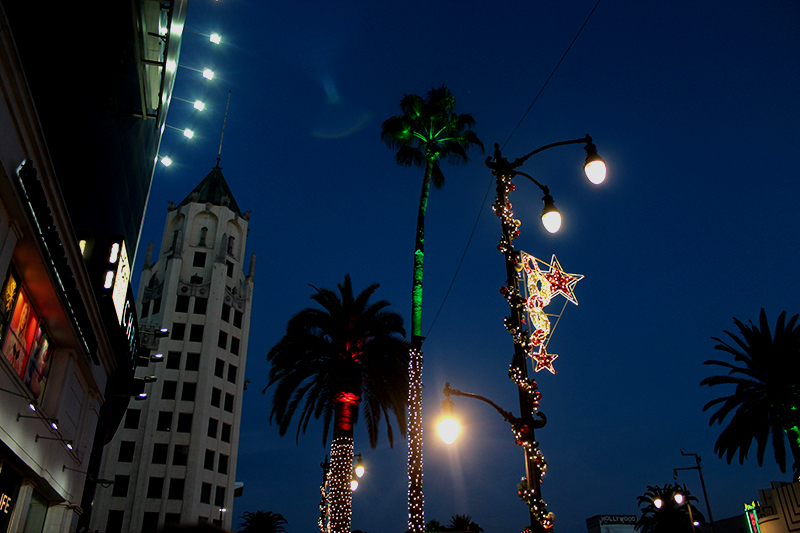 “Some of Hollywood’s most iconic destinations will sparkle even brighter this holiday season thanks to the Bureau of Street Lighting, the Hollywood Chamber of Commerce, and the Hollywood Entertainment District. These seasonal lights will be sure to spread some holiday cheer for residents and visitors alike,” stated Councilmember Mitch O’Farrell, 13th District. The Chamber and HED have been working together on the project since the beginning of July. A request for proposals was sent out to lighting décor firms, and three companies were interviewed by a joint panel and the firm of St. Nick’s Commercial Design & Décor, based in Long Beach, was selected. Under the agreement between the Chamber and HED, the Chamber is making the initial investment in purchasing the decorations and the HED will handle the ongoing maintenance. The decorations were installed one block either side of the intersections of Hollywood Boulevard with Vine Street and Highland Avenue by Thanksgiving week. As envisioned, the decorator wrapped 54 palm trees with permanent lighting. Each tree has two RGB lamps installed under the crown of the tree to light up the palm fronds. In addition, 27 city light poles have custom-made pole-mounted decorations with a star theme installed along with decorated commercial green garland with LED lights. The tree lights will be kept up all year, while the decorations will be removed after the New Year. What is especially exciting is that the RGB lamps can be programmed with different colors, which will enable the HED to change the lighting to different colors depending on the holiday.